Co-written and first recorded by Donny Hathaway (1970). Other popular versions by Gladys Knight & The Pips (1980), Yutaka Yokokura (1988), Gloria Estefan (1993). First recorded by Noble & King (1951). Hit versions by Karen Chandler (US #5 1952), Muriel Smith (UK #3 1953), Mel Carter (US #8/MOR #1 1965), Johnny & Jonie Mosby (C&W #38 1969), Gloria Estefan (UK #11/IRE #22 1994). Also recorded by The Orioles (1953), Connie Francis (1959). From the wiki: “‘Hold Me, Thrill Me, Kiss Me’ was written by Harry Noble in 1952. 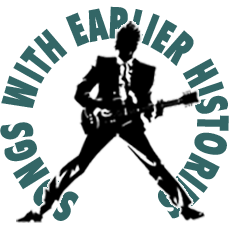 It became a hit in three different decades and is considered a classic of the early Rock/Pop era. The Karen Chandler recording became a US Top 10 hit in 1952; as was often the case with songs of that era, a version was also separately recorded for the UK market – by British singer Muriel Smith – and it became a Top 5 hit in Britain in 1953. First recorded by Vicki Sue Robinson (US #10 1976). Also recorded by Laura Branigan (1990). Other hit version by Gloria Estefan (US #13/UK #21 1994). From the wiki: “”Turn the Beat Around” was written by brothers Gerald and Peter Jackson of the R&B outfit Touch of Class. Vicki Sue Robinson recorded her version on September 26, 1975 cutting her lead vocal in a single take after recording her own multi-tracked chorale vocals. Originally recorded by Robert Knight (US #13/UK #40 1967 |UK reissue #19 1974). Hit versions by Love Affair (UK #1 1968), Carl Carlton (US #6/R&B #11 1974), Narvel Felts (C&W #14 1979), Rex Smith & Rachel Sweet (US #32/UK #35 1981), U2 (AUS #2/POL #3/NETH #10 1989), Gloria Estefan (US #28/UK #19 1994). Also recorded by David Ruffin (1969). From the wiki: “‘Everlasting Love’ is one of two songs (the other being ‘The Way You Do the Things You Do’, by The Temptations, Rita Coolidge, Hall & Oates & UB40) to become a Top 40 hit in the 1960s, ’70s, ’80s and ’90s. The original version of ‘Everlasting Love’ was recorded by Robert Knight, at Fred Foster Sound Studio, Nashville. His producers, Buzz Cason and Mac Gayden, aimed to record him in a Motown style with an especial reference to the Four Tops and the Temptations, intending the song to serve as B-side for another titled ‘The Weeper’. “Cason believes he may have drawn the phrase ‘everlasting love’ from the Biblical verse Jeremiah 31.3 which begins: ‘Yea, I have loved you with an everlasting love’. According to Cason, the recording ‘had some different sounds on it that, for the time period, were kind of innovative. The string sound is actually an organ and we used a lot of echo.’ Ultimately, ‘Everlasting Love’ was released as an A-side for Knight, and it peaked at #13 in 1967 on the Billboard Hot 100.